Tomorrowland is the world’s largest music festival held over two July weekends in Boom, Belgium. Now, one might to expect to survive a typical shindig solely on junk-food and cheap booze. However, Tomorrowland is renowned for raising the bar, which goes some way to explaining why tickets for the event sell out in a matter of seconds. In the interest of not only surviving, but thriving, a host of chefs -many with Michelin stars- descend on Tomorrowland to prepare their cuisine for the discerning party-goers. In 2018, we were honoured to have our Circle of Life white and red selected as the pouring wines to be served alongside the fabulous food from talented chefs such as Nick Bril (The Jane) and Glen Ramaekers (pictured Humphrey Restaurant). 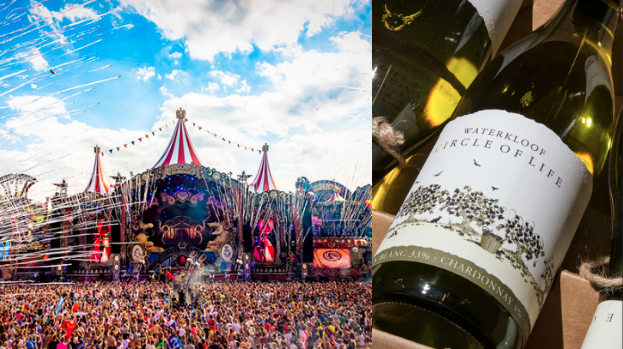 Thank you to Tomorrowland and Waterkloof’s ambassadors in Belgium, Nieuwe Wereld Wijnen, for making the circle bigger.